Villas, Houses, apartments, serviced apartments for Rent in Saigon - Ho Chi Minh City, HCMC, HCM - Vietnam. Căn hộ số 202 ,3/20 Quốc Hương, Phường Thảo.. Fully furnished, new apartment, and good design, Studio, 1 bathrooms,..
Office For rent in THAO DIEN Ward, District 2, HCMC, SaiGon,..
4 Bedroom Villa For Rent in Compound in Thao Dien Ward.. Partly Furnished Villa, 5 ..
8 Bedroom Villa in Compound For Rent in Thao Dien District.. Furnished Villa, 8 Bedrooms (4 Ensuite) Garage, Living room, Dining room,..
4 Bedroom Villa in Compound For Rent in Thao Dien District.. 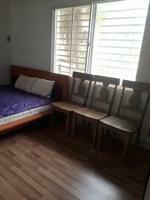 Partly Furnished 4 Bedrooms (4 Ensuite), Garage, Fridge, Washing..